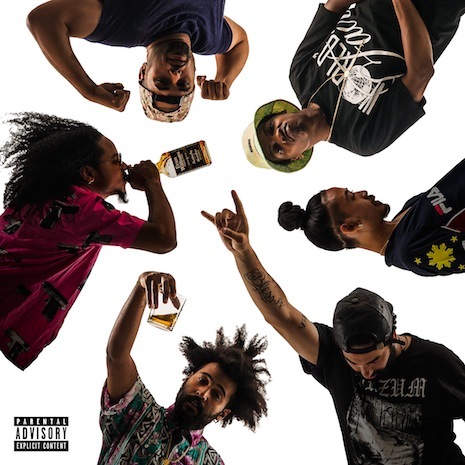 Queens rap collective World’s Fair kick holes in speakers worldwide with their debut Bastards Of The Party. The album is a futuristic boom-bap collage from six truly unique crew MCs, seamlessly weaving party-crushing cuts like “B.O.T.P.” and “Get Out” alongside raw-nerve confessionals, late night rollers and straight up BARS. From the anthemic “96 Knicks” to the introspective closer “Blacklisted,” Bastards Of The Party is self-assured and infinitely listenable, heralding World’s Fair’s arrival as the new New York crew to watch. Sleeve by NB, photos by Loren Wohl.